It would seem the patriotic wave that rippled across the country following the Jubilee and Olympics has come to an abrupt end. 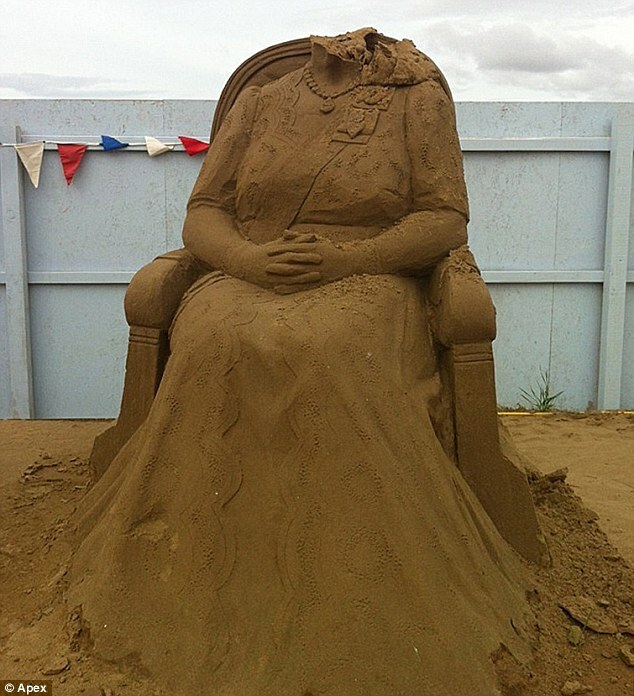 Organisers of a resort's sand sculpture festival have called in the police after vandals beheaded three of its exhibits. The feature in Weston-super-Mare, Somerset, was badly damaged when the culprits broke in after dark and worked their way around the exhibition, smashing and beheading sculptures as they went. They took a particular dislike to a fully sized figure The Queen built for the jubilee and knocked her head clean off. The vandals struck on Wednesday night and have also destroyed two athletes in the Olympic display, as well as a row of clowns and a Super Mario figure.